A Bafta boss has said there should be a diversity “revolution” in the film industry. Marc Samuelson, who chairs the academy’s film committee, has said he would like to see a radical change in representation in media. However, the producer and Bafta (British Academy of Film and Television Arts) member has said the balance of class, ethnicity, and gender will take time and dedication to alter. 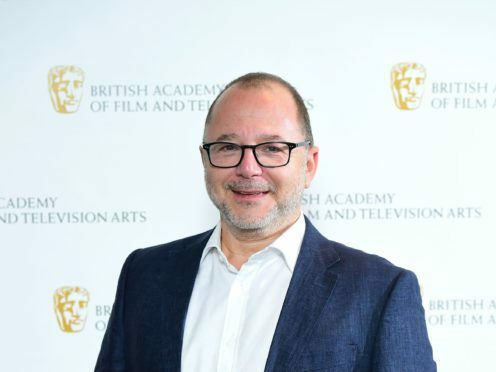 Samuelson said he would prefer revolution to evolution in affecting changes in the industry, and said making media jobs should be the purpose of Bafta. He said: “I think it should be about revolution, I would like to see that revolution. “There are issues of diversity, issues with disability, and social mobility. They are things the industry takes very seriously I think. “It’s what Bafta is for. The awards cannot be all that it does. “There is no simple solution. It needs effort and dedication. Bafta this year introduced a diversity requirement for two of its film categories, with a stipulation for on-screen representation. Samuelson spoke at the announcement of the Bafta Breakthrough Brits, a programme to nurture young talent in the entertainment industry. A Bafta panel, this year including Gemma Arterton, selects talents who have begun to make an impact in the industry. Talking about issues of harassment affecting breakthrough creatives looking to progress in the industry, Samuelson said that Bafta has a role to play in making the industry safer and more accessible. He said: “There is a long term interest here, it’s not just a reaction to what has happened in the past year. I think Bafta has been very active. “People who achieved some level of success in the industry want to give back. And it’s not just altruistic, there is a bit of self-interest, in terms of wanting the industry to be better. “We have helped push for guidelines on bullying and harassment. The Breakthrough Brits initiative has run for six years.